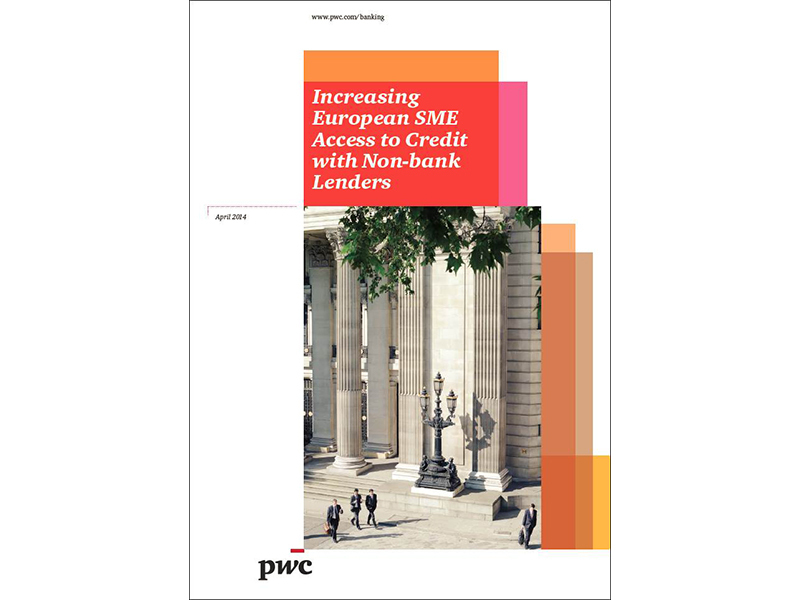 London, April 10, 2014 - New research from PwC finds that the shortfall in European small and medium sized enterprises’ (SME) source of banking credit will last for at least five years. European firms will struggle to fill this gap using other existing sources of credit. Europe’s medium-sized enterprises typically don’t enjoy the same level of access to bond markets as their US counterparts. While European bond issuance has strengthened during 2012 and 2013, total bank loans still comprise the large majority of European corporate debt, compared with less than 30% in the US. Therefore, there’s a major opportunity for non-bank institutions to extend credit to medium sized European firms. This segment offers the greatest scope for growth in non-bank lending and with loans falling somewhere between €10m and €50m. Below this range, loans may be too small to interest non-bank institutions; above it, companies will typically have their own credit rating and easier access to other sources of credit. “Affordable access to credit has always been challenging for SMEs in Europe, but the problem is more acute than ever. Over the next few years, many SMEs are likely to find the already demanding terms of bank credit virtually unaffordable and while they will increasingly wish to invest for future growth, European banks will remain under pressure to reduce and control their levels of leverage. So, the scale of the non-bank lending opportunity in Europe is huge, and will only grow over the next few years. Europe’s securitisation markets, which could help banks lend to smaller firms with limited credit histories, are also recovering slowly in the post-crisis regulatory environment. European SME securitisation only raised a total of €45bn in 2012 and just €16bn during the first three quarters of 2013. Retail bonds are currently barely known outside Germany and Italy, and peer to peer lending and crowd-funding platforms are still gaining traction in most European markets.